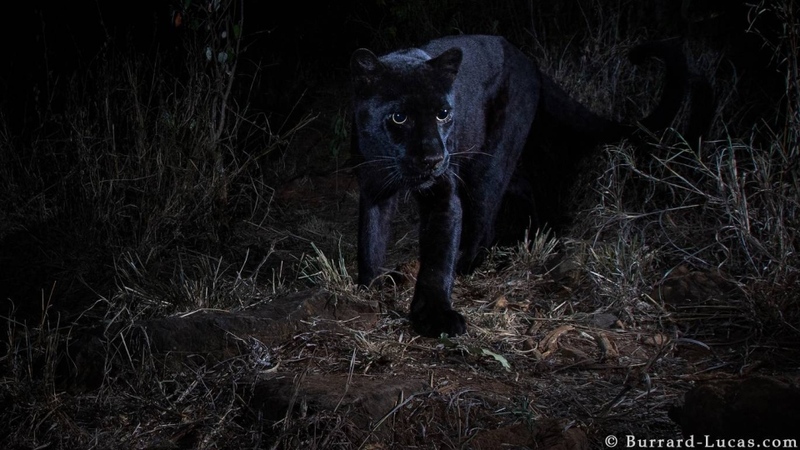 A British photographer got the surprise of a lifetime when he managed to snap rare photos of a black leopard in Africa -- the only high-quality photos taken in over a hundred years. Burrard-Lucas had heard rumours of one being spotted at the Laikipia Wilderness Camp in Kenya. The creature is rarely photographed clearly in eastern Africa. 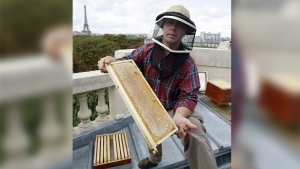 “Usually they’re fleeting glimpses or shots from the air so they’re blurry or far away,” he said. So earlier this month, he set up his specialized Camtraptions camera traps which are set off by movement. After sifting through accidental photos of hyenas, he eventually captured a female black leopard and her cub in fine detail. Black leopards have a condition known as melanism, which causes the animal’s body to produce an excess of pigment. Conservation scientist Nicholas Pilford estimates that only 11 per cent of the world’s leopards have it. 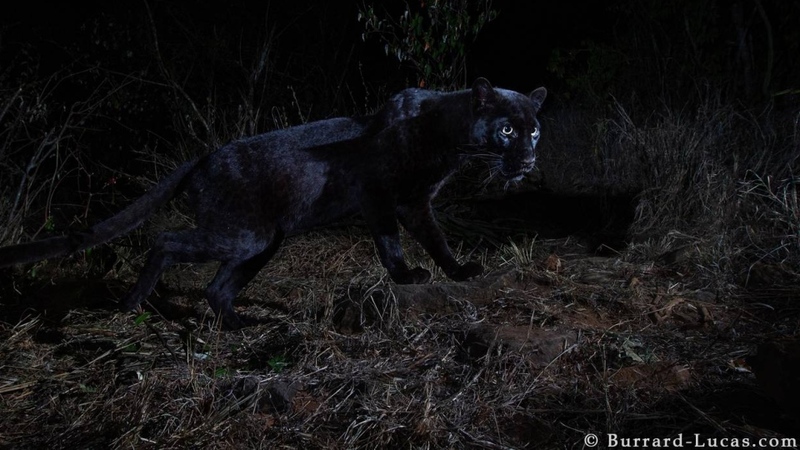 “There have been sightings of black leopards in Kenya [and Ethiopia] for a long time … but in terms of good-quality imagery, these images we have are very rare,” he told CTVNews.ca in a phone interview. The African black panthers is so rare, scientists aren’t even sure the genetic mutation is the same one found in Southeast Asia, Pilford said. Pilford explained the majority of leopards in Southeast Asia are black -- with the black colour being seen as an evolutionary advantage in the jungles of India and Malaysia. But black leopards are rare in Africa. His team recently published a paper in the African Journal of Ecology on their findings and he coordinated press releases to be timed with Burrard-Lucas’ rare photos. 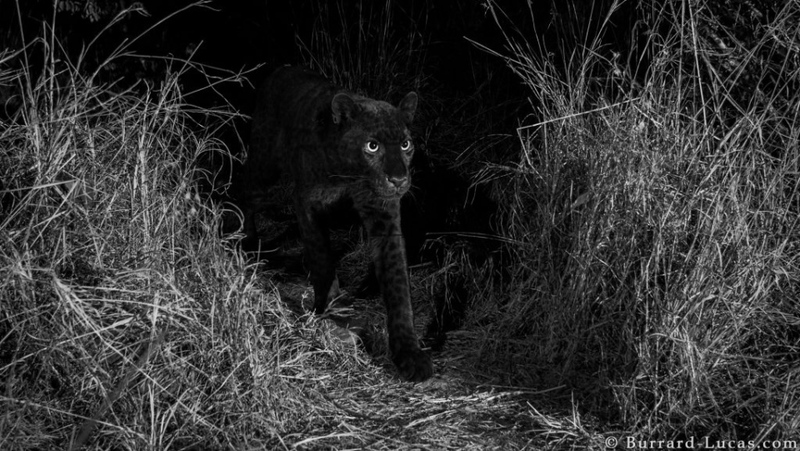 A 2017 paper tracked melanism in leopards globally but researchers only had reference to one high-quality photo of a black leopard taken in Addis Ababa, Ethiopia in 1909. Burrard-Lucas explained his cameras made his series of photos truly unique. “It’s really neat. The black panthers we have are very close to the fictional ones of Wakanda,” he said.